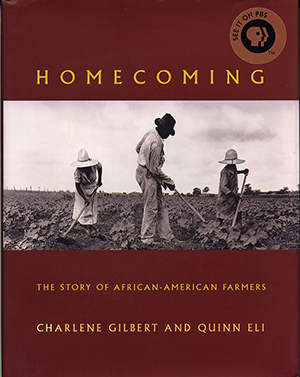 An illustrated history of African-American farmers, Homecoming is a requiem for a way of life that has almost disappeared. “Revisiting the unbearable hardships encountered by my great-grandparents, grandparents, and parents as they sought to survive the inhuman sharecropping system of the post-Civil War South-a system in many ways more brutal than slavery-my heart breaks again. Based on the film Homecoming, produced for the Independent Television Service with funding provided by the Corporation for Public Broadcasting. The videocassette of Homecoming is available from California Newsreel at www.newsreel.org.